Whether you're moving to France for work, to start a business or just to enjoy the French lifestyle, you've probably considered buying property to live in or as an investment. While it seems like the French are missing out on investing in their own country– just 57% own their own property– their reluctance to buy has left a wide market open for expats and foreign investors. And despite some tricky laws and a load of taxes, many non-Residents have taken the opportunity to buy into the European country. How can I find a property in France? It's fairly common to use a real estate agent to find property in France, especially in more remote regions or if you don't know the language well. While the cost can feel prohibitive, in provinces where homes are more spread out and difficult to find working with agent is the only real way to ensure you're seeing all of the properties available. More importantly, some French homeowners inflate prices for expats, and working with an agent can help you ensure you're getting the best deal. That being said, it's not uncommon for French agencies to take up to 8% of the total cost in fees, so if you're on a budget trying to house hunt, doing it on your own may be the best course of action. 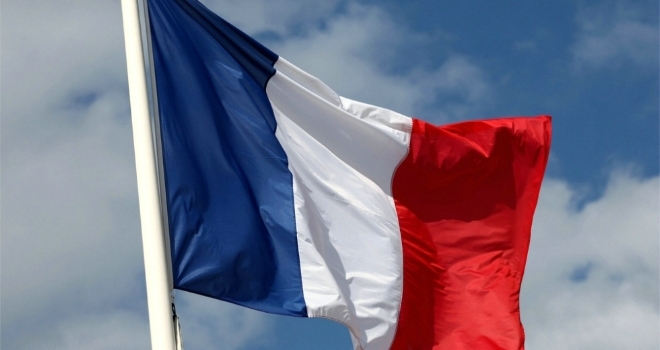 In France, your agent is required to provide you with a diagnostic report of the property. This is because the agent acts on behalf of the seller, but the same fact means that pushing the sale through to you at the highest possible price is in their best interest. As such, real estate agents sometimes try to pass off old documents– from one to five years earlier– as current diagnostic reports. While this scam is more common among rental properties, it does also happen with sale properties. In this instance, the scammer will have listed a house– that they may never have had access to, let alone owned– by scraping the listing from another page. Once they've engaged you in a conversation, they'll say they're unable to meet you at the property to exchange keys and deposits, asking you to join them somewhere offsite. At that point they hand over fake keys while you fork over cash, and you may not realize what's happened until you try to enter a property that's already occupied or belongs to someone else entirely. If, like many prospective homebuyers, you're hoping to use your purchase as an investment property, you may be curious about the market, what types of properties to look for and how to get started. As such, Seminars and courses can seem like a really good idea– as long as you're going to a legitimate one. Some scammers will charge high rates to get you into a seminar promising lots of valuable information; in the best case, you'll have overpaid for an informational course. In the worst case, you'll learn very little and have paid a lot of cash. While there are many other scams out there, you can avoid many of them by visiting the property, meeting the seller or agent in person, and refusing to hand over any money before you have a verifiably working key and title in your hand. Realistically, the types of properties you'll find across France vary significantly by location. While in Paris you may struggle to find any housing situation outside of an apartment, in the countryside you'll be welcomed with plots of land, sprawling estates, villas, homes and townhouses. What type of property you invest in will depend on where you want to invest, and what makes the most sense for your family. In France, it's the seller's legal responsibility to provide you with an up to date diagnostic report. This should cover everything from the presence of lead, asbestos and parasites to the condition of the septic system, the Performance Energy Report and the natural disaster risk. Before you agree to buy any property, make sure you've received this report and have gone over it thoroughly with your agent. Engage a notaire (lawyer) to perform the property searches, including the land registry, ownership rights, boundaries, and rights of way. Once you considered all the most important points of buying property– from location to style to associated fees, you're ready to get started in your search. Good luck buying property in France!